In this week’s blog post we’re going to show you how to predict changes in the English weather – read on to find out more. Preparing to go out in the alps is, relatively easy – you expect it to be cold, windy and snowy so you dress as such. Going out in the UK hills though is something of a different matter, within the space of hours it can go from blistering heat to horizontal rain (as anyone who has ever been walking in Scotland will attest). Protecting yourself from the elements involves, of course, dressing for the occasion – as Wainwright famously said: “there’s no such thing as bad weather, only unsuitable clothing”. However, there is no point struggling into your waterproof trousers five minutes after the heavens have opened and you’re already soaked. What you really need to do is to be able to predict changes in the weather before they take place. That’s what we’re going to show you – how to tell if it is going to rain, if it is going to snow and what to look out for in the weather. Learn how to build shelters, light a fire and find food by joining our weekend bushcraft course – click here for more information. As always, please feel free to read the whole blog or skip to the most relevant section. Being able to predict changes in the weather begins with understanding weather patterns – and checking the forecast. Here’s how to get started. A cold front is a boundary between warm air and cold air. It’s indicative of cold air replacing warm air and is shown as blue on the weather map. Cold fronts normally mean rain as the front passes and may occasionally indicate thunder. A warm front is warm air advancing over cold air. The presence of a warm front normally means precipitation at the front and a jump in the temperature. An occluded front is when a cold front catches up with a warm front, these are shown as purple on the map. High clouds are mostly composed of ice crystals and exist between 18,000 and 45,000 feet. 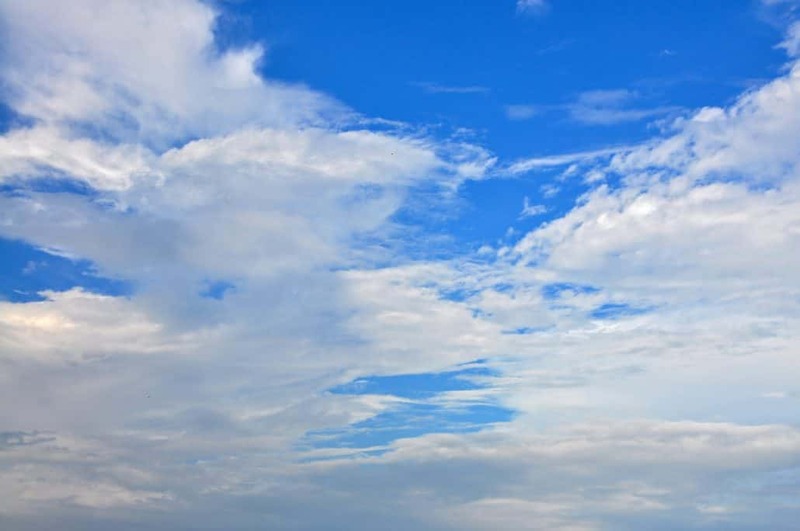 Typically clouds at this height are Cirrus clouds and resemble wispy brushstrokes. 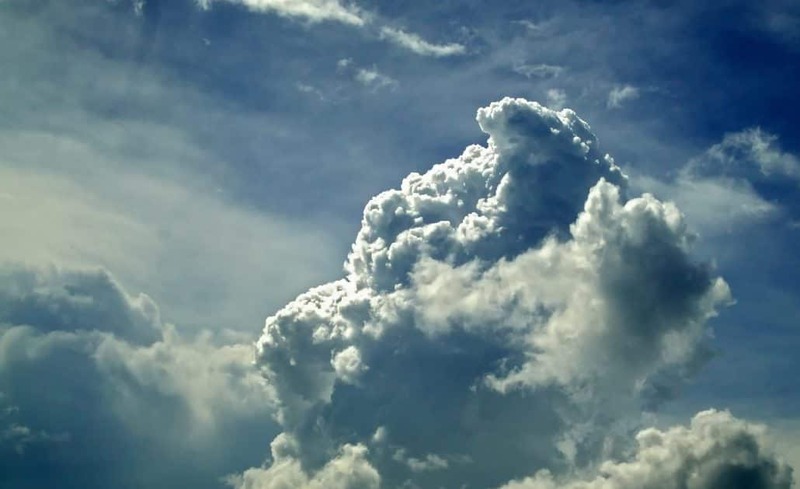 Medium clouds are usually composed of a mixture of water droplets and ice crystals. They exist at around 6,500 – 18,000 feet. 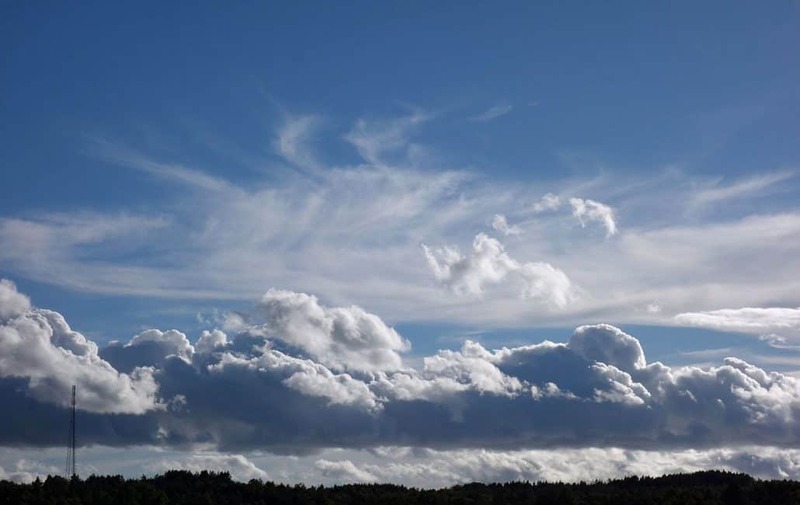 Stratocumulus – a series of typically white rounded rolls. 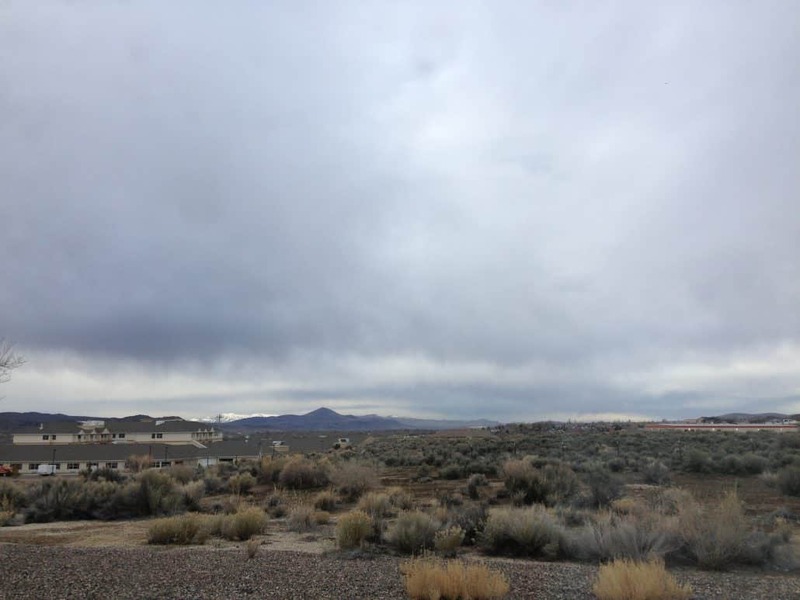 Stratus – these are layered clouds of grey with a uniformed base. These don’t normally mean unpleasant weather though from time to time they can bring showers. Cumulonimbus – these are the ones to look out for. They are large cauliflower-shaped towers, these often have ‘anvil tops’ and sometimes give warnings of thunderstorms, showers or snow. Before going out in the hills it is essential that you check the weather forecast. There are a number of resources that you can use, obviously, there’s the MET Office (https://www.metoffice.gov.uk) – who also has a wonderful app, but there is also the Mountain Weather Information Service (http://www.mwis.org.uk/) . The latter is an essential resource when heading out into the Scottish, English, and Welsh mountains. Observing the world around us can help us to predict changes in the weather. Here are a few ways in which you can detect changes in the weather by observing nature. Some of the old sayings have a ring of truth to them – remember the phrase ‘red sky at night shepherd’s delight, red sky in the morning shepherd’s warning’? Well, it turns out that phrase may have more than a ring of truth to it. This is because the weather in the UK normally comes from the west. So a clear evening sky heralds fine weather, while a red morning sky can be caused by high cirrus clouds at the leading edge of a front. “Rainbow in the morning give fair warning”, this saying also has a ring of truth to it, as it indicates rain in the west and heading your way. Learn how to build shelters, make fires and find sources of food on our weekend bushcraft course – click here for more information. Wildlife can provide good clues as to what the weather will do. Right before it rains birds tend to fly lower to the ground because the air is thinner just before a storm. If you’re along the coast then the sight of seagulls nesting or seeking refuge rather than flying is also a sure sign that a storm is along the way. Before a storm begins cows may also huddle together or even lie down, ants and spiders also become more active just before a storm. The wind can also help you to predict changes in the weather. If the wind has been blowing for a few hours, you can see how fast it is blowing by watching the clouds, and then it suddenly drops it is a good sign that a storm is on its way. Dew can also be a good sign of a good day’s walking ahead. Lots of dew first thing in the morning, or late in the evening can indicate a clear day ahead. When you’re heading out into the mountains, the moors or the hills the correct clothing is essential. What this comes downs to is layering. When out walking several thin layers are better than one thick one. The layering system can be divided into base layers, mid layers, and outer layers. We’ll look at these in more detail below. The base layer is the layer closest to your skin. Whatever you choose as a base layer when out in the hills it needs to draw sweat away from the body. Cotton T-shirts, for example, are particularly bad at drawing sweat away from the body, that is to say, that cotton T-shirts hold on to the sweat. This means that when you stop sweating all the moisture that is held in the T-shirt close to your body begins to cool down very quickly, this, in turn, can make you very cold. The act of drawing the sweat away from the body is known as “wicking”. Some of the best materials for wicking base layers include Merino wool or synthetic materials. Mid-layers go, as you might expect, between the base layers and outer layers. Mid-layers keep you warm and can include fleece tops, tops of synthetic fibres, other T-shirts, jumpers, etc. anything to keep you warm. The outer layer is designed to keep you dry and safe from the wind. In terms of choice of material, a waterproof jacket or smock forms the best outer layer. When choosing such a jacket it is advised that you pay particular attention to the hood. The hood should be able to be drawn tight around the face to protect from the elements but open enough to allow you to move your head. Keep safe from the elements by learning how to build shelters, make fires and find sources of food on our weekend bushcraft course – click here for more information.